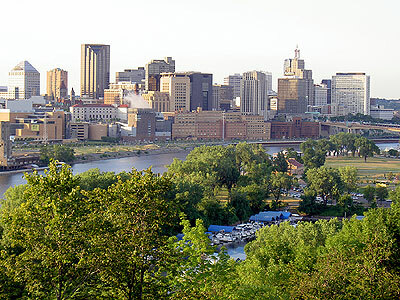 Downtown Saint Paul: While Saint Paul is now the smaller of the Twin Cities, it was larger than Minneapolis in the nineteenth century and remains the state capital to this day. The insurance company that I imagined Samantha working at is now owned by Traveler’s Insurance and occupies the building with the pyramid-like top to the far left of this skyline shot. 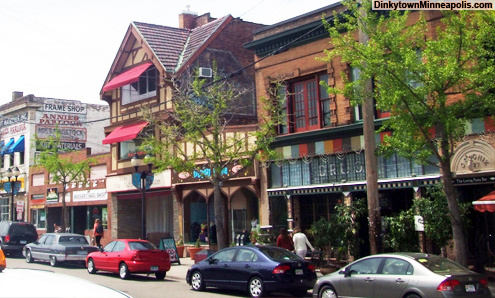 Dinkytown Neighborhood, Minneapolis: Dinkytown is an area of shops and businesses near the University of Minnesota catering to both college students and urban residents. The section of the Mississippi river near the University runs almost east-west before turning back to the south, and the University is located down the river and to the east of old Saint Anthony. Magus Books, Dinkytown: Magus Books should be paying me for the ringing endorsement I give the shop in Arcana but in fact they are not. It just so happens that Magus has been my favorite occult shop for a long time and I figured I should mention it in the story. Just about any serious magician in the Twin Cities will have shopped there. Roger, the proprietor in the book, is a real person and several people have noted that my portrayal of him is pretty accurate. 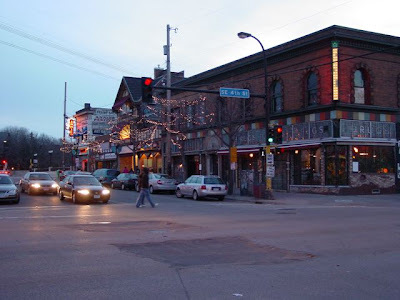 Loring Pasta Bar, Dinkytown: The Loring Pasta Bar really did used to be a drug store. In this exterior shot you can see the word “DRUGS” worked into the glass above the main windows, as described in the novel. The interior of the Loring Pasta Bar is beautiful, and my description in the book really does not do justice to what an amazing remodeling job the new owners did on the old Dinkytown drug store. Here's an interior shot – the place really does look like this on the inside. It is a wonderful place to take a date and just up the street from Magus, which is why I figured it would be a perfect place for Michael and Samantha to get acquainted.